Introduction: River2Sea's catalog of product can be overwhelming so we're usually a bit leery of the task of reporting on what's new with them. They claimed they didn't really have much going on, but when we arrived, their pro staff made sure we had plenty to talk about. Here's what's new, refined, and happening with River2Sea. 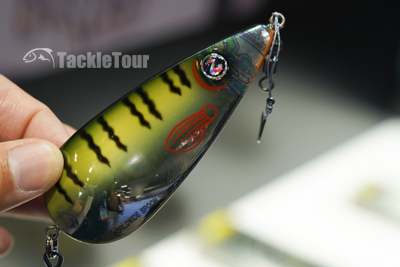 Spoons are becoming more and more popular in pursuit of black bass. WorldWide Spoon : Designed by FLW Pro James Watson, the Worldwide Spoon is an open water casting, vertical fishing ledge pumping spoon. Watson described to us his favorite way to fish this spoon is to pitch it up close to docks where it has the tendency to sink and swim away from you like that strung up minnow we used to see on those TV infomercials. The Worldwide spoon is equipped with a #2, 4x strong treble and is equipped with a removable stinger hook up by the line tie. It weighs a full ounce and comes in 8 different colors for $9.99 per spoon. 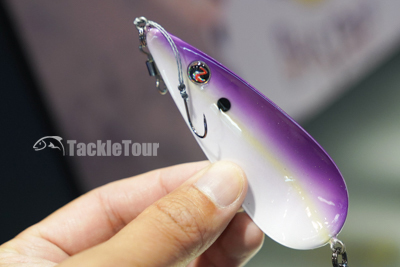 The WorldWide Spoon by River2Sea has a stinger hook just like you'd find on a spoon for saltwater species. 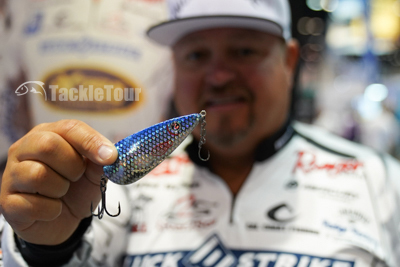 The WorldWide Spoon is James Watson's go to bait. Ish's Phat Matt Daddy Frog receives some refinements for 2019. Phat Matt Daddy Frog: Not necessarily new to River2Sea, but refined for this year is Elite Series Pro Ish Monroe's Phat Matt Daddy Frog. 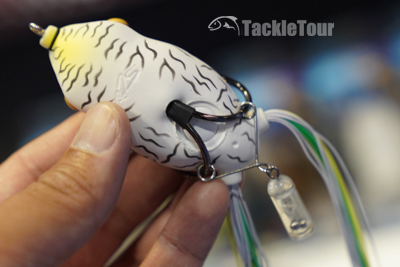 Now with a more leak proof hook chamber, optional rattle, and living rubber legs for better flare. The Phat Matt Daddy Frog measures 2 3/4" in length, weighs 3/4 ounce, and is available in 8 different colors for $10.99 per bait. Not only does it now come with a rattle (removable), but the hook chamber is better sealed against leaks. 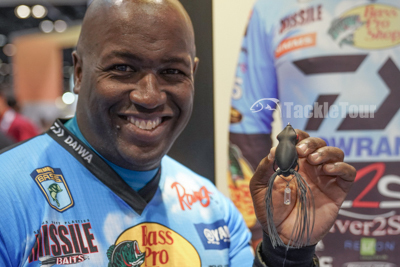 Congrats once again to Ish Monroe on his Elite Series win on the Mississippi River using, of course, his signature frog bait!